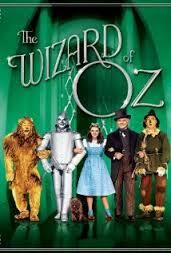 Well tonight I am going to introduce my boy to The Wizard of Oz. I think he will enjoy it at least I hope he will. I am introducing it to him as tomorrow we are heading off to the movies and we are going to see Oz the Great and Powerful. It looks like it will be a good movie and we actually haven’t gone to see a movie this year yet as there hasn’t been anything kid friendly that he would be interested in. But there are a heap of movies coming out later in the year that we are looking forward too. A few new Pixar movies (Monsters University and Planes) as well as some new superhero movies (Iron man 3, Thor and Superman) and other random movies (Smurfs 2) . Then there are the few movies I am hanging to see (A good day to Die Hard, Catching Fire, Star Trek – Into the Darkness, After Earth Jack Ryan) So the second half of the year or from May on is looking good! Are there any movies that you are hanging to see this year? My friends and I cannot wait for The Hangover 3 to come out in May. We are so excited!!! We were supposed to see the new Oz movie last weekend but didn’t get there. The Incredible Burt Wonderstone movie looks pretty funny too.